Why do consumers pay a premium for a Dell or Hewlett-Packard laptop, when they could get a generic machine with similar features for a lower price? The answer lies in the power of branding. A brand is not just a logo. It is the image your company creates of itself, from your advertising look to your customer interaction style. It makes a promise for your business, and that promise becomes the sticking point for customer loyalty. And that loyalty and trust is why, so to speak, your laptops sell and your competitors' don't. 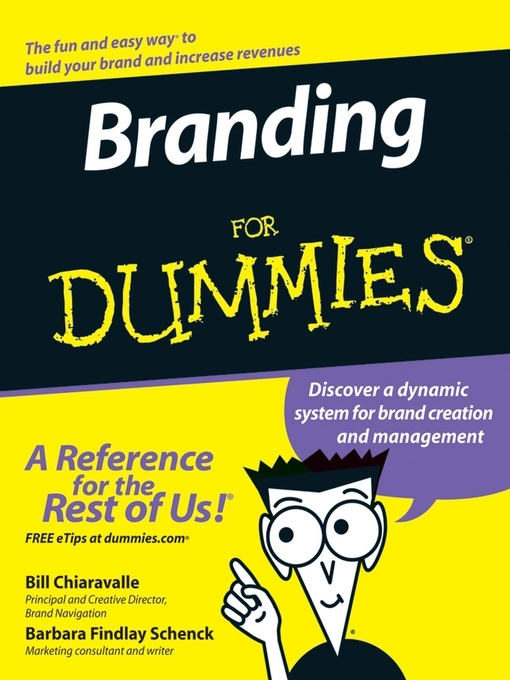 Filled with easy-to-navigate icons, charts, figures, top ten lists, and humor, Branding For Dummies is the straight-up, jargon-free resource for making your brand stand out from the pack--and for positioning your business to reap the ensuing rewards.